Trunks is the son of Vegeta and Bulma trunks has purple hair like Bulma. Trunks turns in to Gotenks when he combines with Goten! An interesting fact about Trunks is where he got his sword from? The answer to that is that he got it from Tapion. Krillen is a friend to Gokou. Krillen is about as tall as the small Gohon. Krillens move is the destructo disk! Vegeta is Trunks father and Bulma's husband. 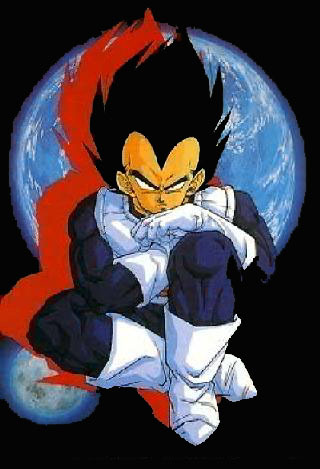 Vegeta is a prince on the planet Vegeta which Freeza destroyed. Vegegeta is a saiyen like Gokou. And use to fight against earth for Freeza later on becoming a good guy. 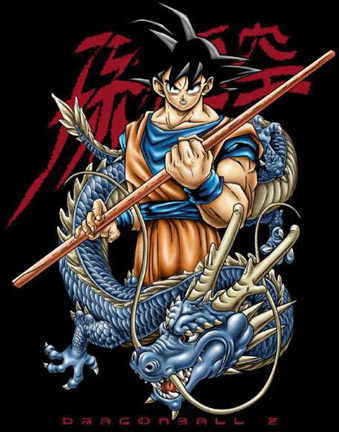 Gokou is the father of Gohon and Goten and husband to Chi Chi. Gokou's power has went up to as far as SSJ 4! 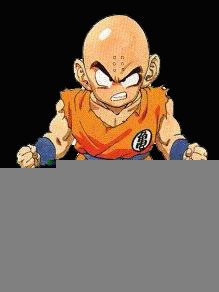 Gokou was first trained by Master Roshi as a child. Than when he grew up Raditz his brother came to earth. Piccalo destroyed Raditz but Gokou as well. So Gokou was sent to another dimension and trained with king Kai.